Listing procedures and upfront pricing, patients are less likely to experience sticker shock. * If you already have an account please click here to sign in. 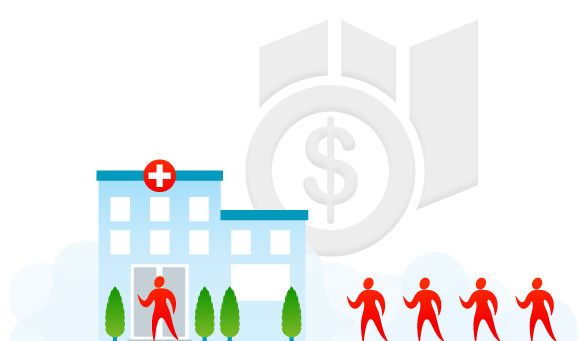 Procedure Pricing allows users with an interest in procedures and services to search their local area for physicians like you, by simply entering their zip code. 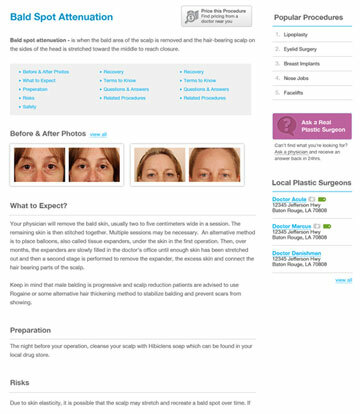 Users can view your cosmetic procedure offerings, call your office from the app, view pre/post op photos, review procedure pricing and even send you an e-mail of a procedure “wishlist,” accompanied by their e-mail address, providing you with a qualified lead. Connecting to thousands through our newly engineered Knowledge Center. BuildMyBod continues to build one of the most robust interactive marketing tools and resources in the world for physicians. Not only are you given the ability to pre qualify patients with online pricing and to allow the online purchase of your non-surgical services, but now your patients are also connected to an archive of information on procedures in the Knowledge Center. You will connect to hundreds of users searching for procedures that they're interested in and your profile will be displayed based on the procedure and location viewed. The Knowledge Center has every procedure patients are interested in with each procedure answering questions like, what to expect, pre-op preparation, risks, safety issues, recovery and an interactive Q&A section. If a user or patient can not find the answer to a question they are looking for, they can simply go to the Ask a Real Doctor section and submit any question and get a response from BuildMyBod's staff plastic surgeon within 24hrs. 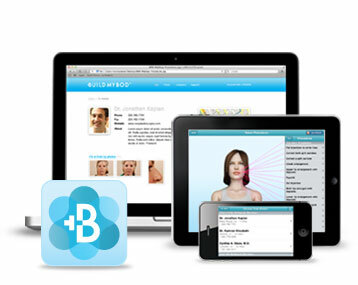 One of the most robust and intuitive hubs for plastic surgery on the web. Join us today and experience a new way to connect to your existing and new patients. Create an account to add procedures, pricing, photo galleries and become accessible through the Knowledge Center database.